Nearly 80% of financial advisors are overwhelmingly satisfied with their career choice despite the significant stresses they face. This was a key finding from our second annual Advisor Wellness Study. What did they like most about their jobs? 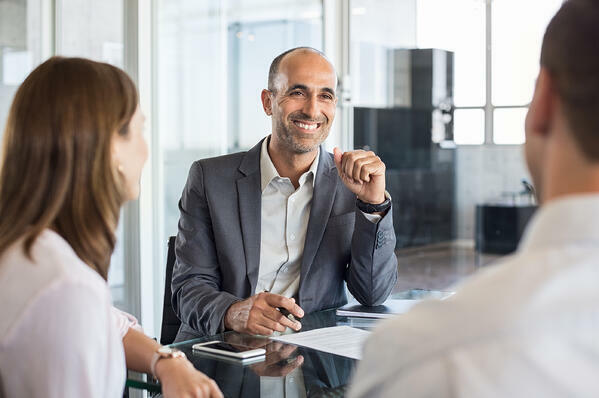 Sixty percent of respondents cited helping people as what they liked most about being an advisor, and 21% responded that they appreciated the independence and flexibility that their career provides. But is a storm brewing? These are favorable statistics that need to be touted in an industry wherein the average age of a financial advisor in the United States is over 50, and that average is increasing annually. Industry experts worry that a perfect storm is brewing on the horizon, one that will impact the financial advisory industry adversely. They predict that there will be "insufficient advisor replenishment," noting that for every person entering the industry, two become eligible for retirement. This will have a profound impact on advisors hoping to retire or sell their businesses in the coming decade. As we considered insights from our Wellness study and compared them to FlexShares’work on the importance of hiring Millennials as advisors, it became clear that much of what today’s advisors love about their careers – helping people and flexibility -- are closely aligned with what Millennials desire. We often hear from advisors who get stuck on negative stereotypes that surround this younger generation. Some of these stereotypes may be true, but we believe shying away from bringing on new talent will put you at a disadvantage in the future. Whether you are seeking to take your business to the next level or considering a succession plan, developing a multi-generational team is critical. Also critical is to consider quickly changing demographics. Women and people of color are becoming more prominent wealth creators and will be looking for service providers that understand their unique needs. Seek an advisory staff that looks like your future client base. Women are earning advanced degrees at higher rates than men and just under a third of women contributed at least half to their household’s income and 28 percent earned more than their partner. And, over the last decade, minority-owned businesses have been a key economic driver. Diversity among wealth creators will continue to grow and diverse advisory staff will better help you reach and understand these investors. Many advisors didn’t land in this career coming out of business school, so don’t solely focus your search on new business grads. Your next hire may already be working in a service or education-oriented field. Respondents in our study told us if they weren’t an advisor they’d be a teacher, an entrepreneur or an attorney. Look for people in jobs that help others.